SC To Pollution Board - “Citizens Gasping For Breath. 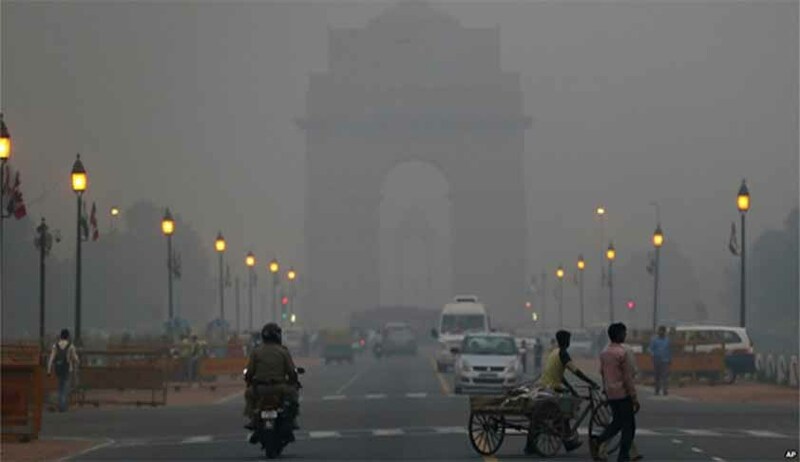 You Waiting For Them To Die"
The Supreme Court today asked the Central Pollution Control Board in cooperation with other authorities to set up sufficient number of control rooms in the capital to monitor the air and take time action. “We do not want a situation when authorities remain totally clueless while the air is getting increasingly poisoned”, a bench headed by Chief Justice T S Thakur said asking all authorities to come out with emergency measures, time frame and identify the agency to implement the steps. “Tell us who is obstructing the setting up of more control rooms. Capital of the country cannot be left to be poisoned”, the CJI told Parihar. The bench asked the Centre to hold a meeting with all the stake holders on November 19 to discuss the issue and take urgent measures. On November 8 the court had directed the Centre to respond within 48 hours and give details about its policy or a "disaster management plan" to deal with the prevailing situation. The court was not happy with the plan submitted on Thursday. The court has been repeatedly asking the Centre and Kejriwal government to keep aside their differences and devise a "common minimum programme" at least for taking steps to deal with the pollution menace. "We want to know whether you (Centre) have any disaster management plan. Do you have a policy which deals with graded responses to the situation and provides what action would be taken at which stage? What is the protocol? Now the time has come where we need to have this," the bench had said.